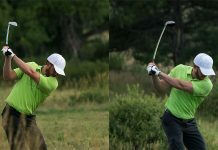 Ahh, the all-too-complex golf swing. We love it. We hate it. And we love figuring out why we hate it. 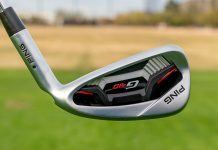 It really can be confusing because, sometimes, all it takes is one tweak to the swing and BOOM, you’re striping drives down the fairway. Yet, more often than not, even after buckets of range balls to no avail, your swing feels like a thousand-piece puzzle board with half of its pieces missing. Point is, golf is tough. And it becomes tougher as a golfer trying to improve with no clearly defined path to get better. 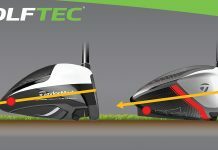 That’s why, with the help of 20-plus years of data on the golf swing and differences between how the most- and least-skilled golfers swing the club, GOLFTEC has factually identified the road to help golfers improve. 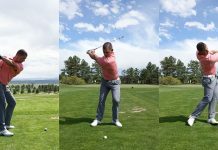 A major player contributing to inconsistent ball striking is hip sway, or how the hips laterally move throughout the golf swing. 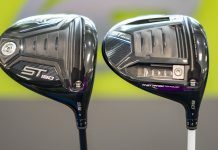 The GOLFTEC SwingTRU Motion Study identified that the best golfers move their hips an average of 3.9 inches toward the target at the top of the swing, compared to just 2.5 inches for golfers with a 30 handicap. 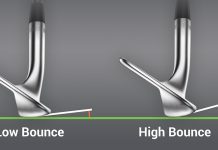 While this 1.4-inch difference may not seem like a lot, it’s incredibly impactful to how well you hit the ball. 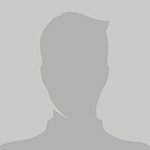 Specifically, because a hip sway more toward the target encourages the bottom of the swing arc to occur more ahead of the golf ball. 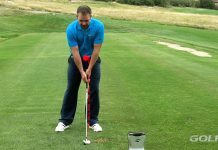 Which can mean the difference between that crisp, ball-first contact seen with professional golfers, and the fat and thin shots often prevalent with high-handicap golfers. 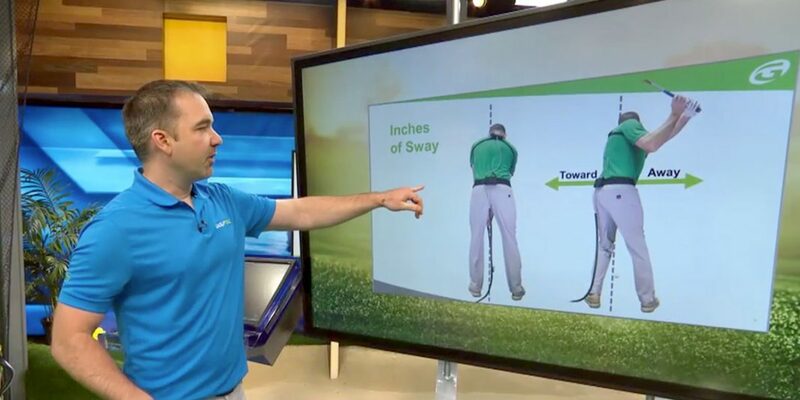 As part of GOLFTEC’s yearlong appearances on Golf Channel, Nick Clearwater talks hip sway with Golf Channel’s Charlie Rymer during a recent Morning Drive visit in the video below. 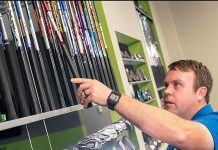 Take a look, and if you have questions about hip sway and how it can impact your swing – as always – talk to a GOLFTEC coach and get your swing measured! 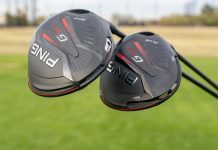 How do I shift pressure to my trail foot during the backswing if I’m shift to the lead side? 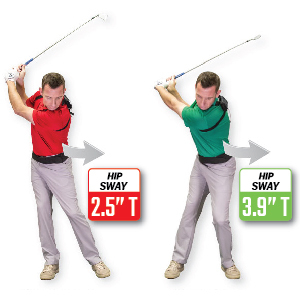 Or does the 4″ of “sway” come from rotating the back towards the target I’m really confused after watching this instruction. 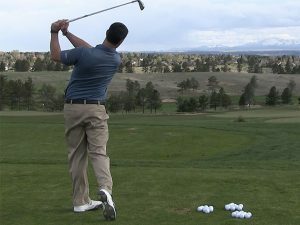 Don – The 4” comes from turning the hips and not allowing the weight to move away from the target either too much or too long in the backswing. How we measure and why is explained in the video. Pressure if often misunderstood in that to shift pressure to the back foot one must move their weight to the back foot. 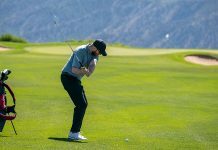 That procedure would lead to a Hip Sway that is less towards the target than the average tour players 4″ and why many golfers commonly have contact and slicing problems.